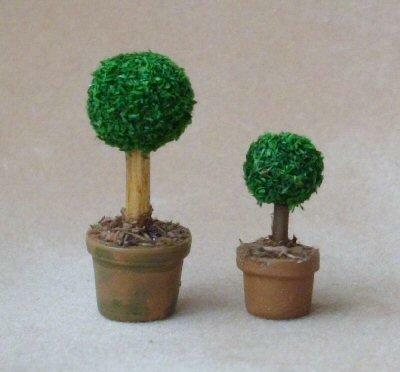 Two sizes of miniature topiary trees in pots. In 1/24th scale they make great inside decorative ornaments, add a red bow to make them Christmassy. In 1/48th scale they could be put in the garden or one either side of your dolls house front door. Use the drop down menu above to select which size you would like. Shorter trees are approx. 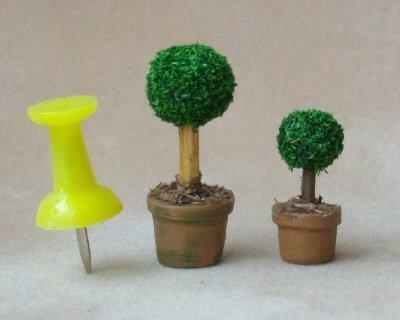 17mm and taller 24mm (1" and 0.7") tall including the little terracotta pots. Price is for one tree.